SHERWOOD — The Sherwood High School baseball team is ready. The Bowmen are ready to battle, that is. And they know they're going to need to this season in the powerful Three Rivers League. "We have a solid overall team," Sherwood coach Nate Hickok said. "The Three Rivers League is always a challenge, and this year is no different. Top to bottom, I think it's the toughest league in the state. We expect to compete hard in every series." And the Bowmen appear to be up to that challenge, as they have a strong group of returning players from last year's team that finished in fourth place in the final TRL standings at 9-8, while going 15-13 on the season. Among the returnees is junior shortstop Anthony Garrett, who was a first-team All-Three Rivers League pick last year as an infielder. Senior third baseman Jacob Matzat was a second-team all-league pick last year as an infielder. Hard-hitting senior Nic Garrison is a returning starter at third base. Senior Bryce Vaughn is back for his third season starting in the Bowmen outfielder. He also was a second-team all-league pick a year ago. Senior Hayden Gilbert is back at catcher. Other varsity returnees include senior pitcher/infielder/outfielder Riley Aggson, senior pitcher/outfielder Takumi Kammerzell, junior second baseman Noah Beeks and junior outfielder/pitcher Ryan Sandilands. "It's a strong returning core, and I'm excited to see their progress play out on the field," Hickok said. 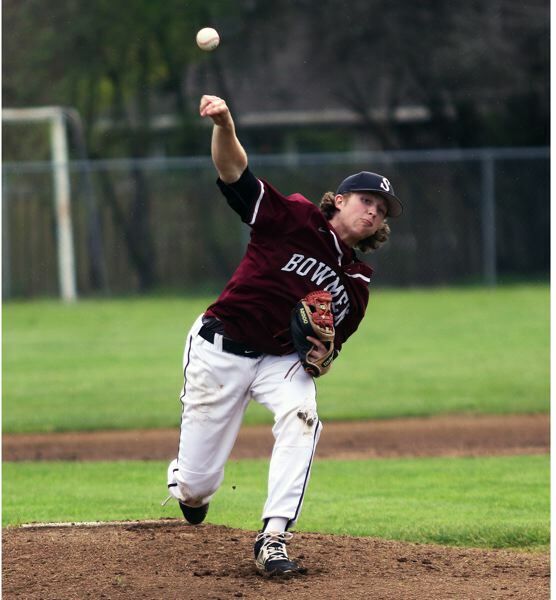 On the mound, the Bowmen return their three starters from a year ago in Matzat, Aggson and Garrett, who were all honorable-mention all-league picks at pitcher. "They all had strong seasons last year and have shown some solid growth over the past sixth months," Hickok said. Junior Braden Thorn, Kammerzell, Sandilands, junior Sage Dunaway, junior Tyler Hix and senior Josh Felix should all also see action on the mound. "They all will all receive opportunities during non-league to prove that they're ready to either be starters or one of our go-to relievers," Hickok said. Other newcomers to the Sherwood varsity include senior outfielder Lucas Hughes and sophomore catcher/pitcher Kade Emmons. "Our all-around defense should be very sound. In the outfield, we have several players who can really cover ground. Our infield is strong, especially up the middle," Hickok said. "Hitting will be our biggest question mark coming into the season. We certainly have potential to be a tough lineup, but we have a ways to go. I think our bats will determine how high we will finish in league." Sherwood, on Monday during its Arizona spring break trip, was edged 7-6 by Sheldon. Dunaway went 3 for 3 at the plate in that game, with a triple and a run scored. Kammerzell went 3 for 4 with three RBIs and Garrett went 2 for 4 with a double, two runs scored and an RBI. On Tuesday, the Bowmen got an 11-9 win over Mainland Regional, N.J.
Matzat went 2 for 3 at the plate in that game, with two runs scored and three RBIs. Vaughn went 2 for 3 with two runs scored and two RBIs. Garrison went 2 for 3 with a run scored. Garrett doubled twice, Aggson scored two runs and Sandilands drove in three. Sherwood will finish the spring break trip with a game against Mullen, Colo., on Wednesday and a game against Air Academy, Colo., on Thursday. 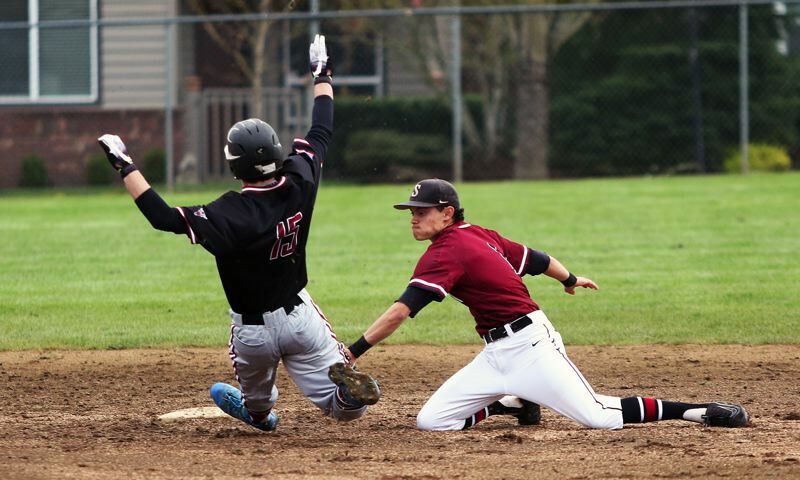 The Bowmen will open their Three Rivers League schedule on Wednesday, when they play at Tigard in a game starting at 4:30 p.m.